A surface that is too heavy, too wet or too hard will not only annoy the rider, your horse will not walk comfortably on it either. A surface from Zorgdrager will make this a thing of the past. Over the years, the demand for Ebb and Flow Surfaces has increased dramatically. At Zorgdrager we have developed our own unique Ebb and Flow system: a hassle-free, perfect system! The main advantage is of course that this surface does not require an irrigation system and will always have the same stability and resilience. In short; a TOP QUALITY surface! A drained Zorgdrager Surface with the perfect top layer! A stable surface with good shock absorption. 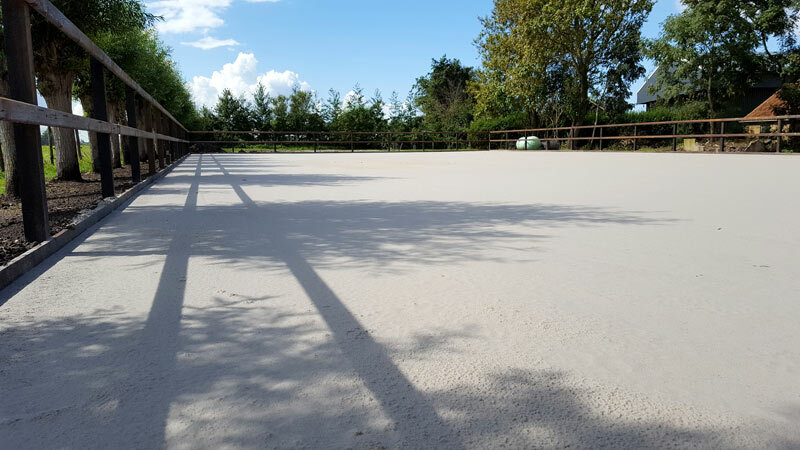 A custom surface suitable for all types of equestrian sports. This surface does need irrigation, which of course we can supply. 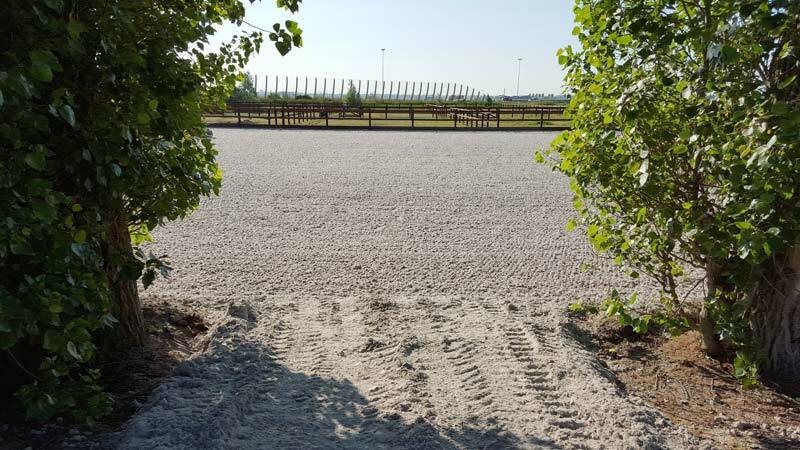 A perfect surface, comfortable for both rider and horse. Please feel free to contact us. We would be glad to help!